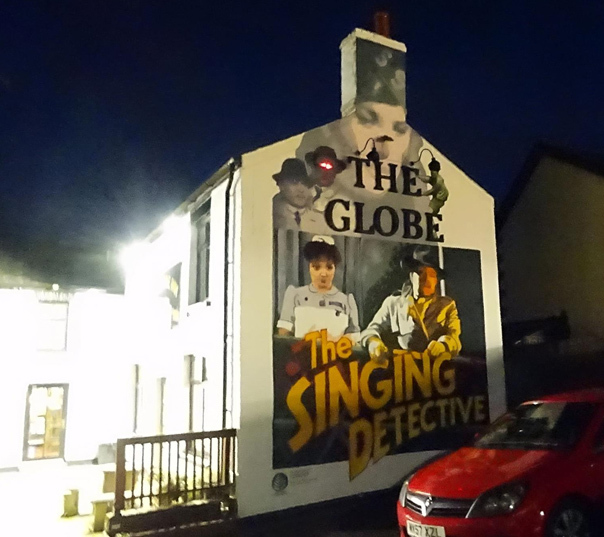 Singing Detective Dennis Potter mural, The Globe Berry Hill, 2017. 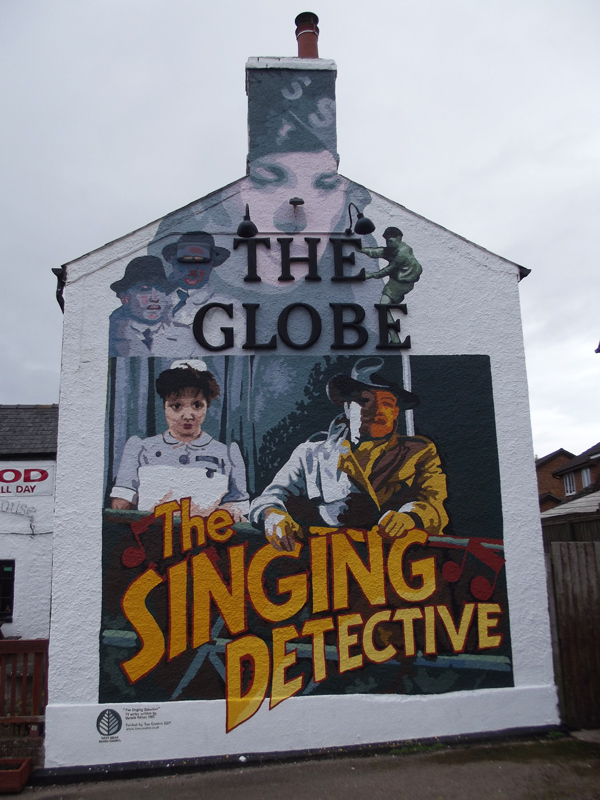 'The Singing Detective by Dennis Potter', mural on The Globe, to be part of the planned Dennis Potter trail round Berry Hill where Dennis Potter was born. Funded by West Dean Parish Council. The goons eyes glow at night as they cover a flashing alarm system box. Hopefully this will be the first of a series of murals round Berry Hill each themed on a different Dennis Potter series/play, as part of a trail round the village of other Dennis Potter points of reference.